Fort Collins CPA Firm: How Can A CPA Firm Help You? You Are Here:Home / Fort Collins CPA FIrm / How Can A CPA Firm Help You? Many individuals with complex filings, small business owners, and others attempt to navigate through the complicated, choppy waters of tax planning on their own. Little do they know that a local CPA firm can actually help make their lives a whole lot easier. At O’Dell & Company, our Fort Collins CPA firm has helped thousands of clients across the country to streamline their tax planning and business operations to save time, money, and headaches. Listen to your concerns and needs. Develop solutions and recommendations based on your situation. Prepare you for the best course of action. Communicate constantly, whether in-person, via phone call, or via conference to ensure you aren’t left in the dark at any point. Deliver final documents, and more importantly results, to help you operate. We pride ourselves on the trust, integrity, and reputation which we have cultivated by providing superior solutions and support since 1986. Our core services fall under five categories, each of which we break down below. 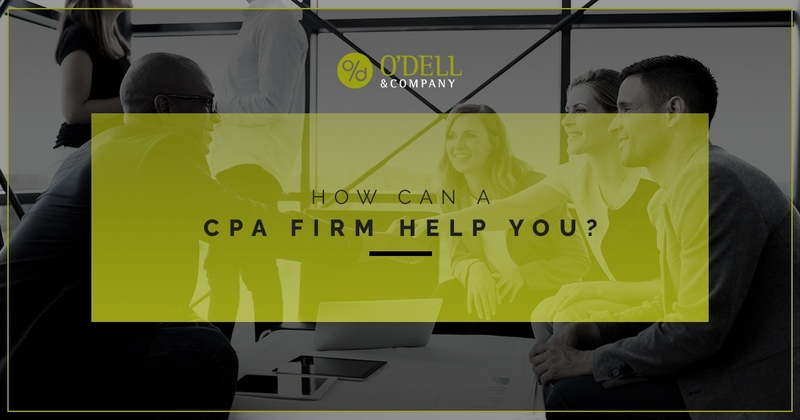 Keep reading to learn how a CPA firm can help you and contact O’Dell & Company today to get started. Income tax planning as a small-to-medium sized business owner is not always simple. Every little move that you make could result in unknown tax implications which could help or hurt your business. With a CPA firm, these types of hiccups are avoided altogether. With access to cloud-based back office software like Quickbooks, tax prep is simple. Not to mention, our local CPAs will work with you to reduce your tax liabilities, help you become proactive with your planning, and provide education on new laws to aid with tax-saving decisions. When it comes to business tax planning in Fort Collins, Denver, and beyond, O’Dell & Company is your trusted firm. With advice, guidance and support from a CPA firm, business transactions are efficient. Our team focuses on everything including acquisitions, sales, partnership/shareholder agreements, estate and gift tax planning to help you achieve your business goals without unwanted surprises. Making the decision to start a business is just half the battle. What comes next is figuring out which type of entity your business will operate under. A CPA firm can help you understand pros and cons of each entity so that make the right decisions based on real data and tax implications. Are you an individual with a high net worth and a complicated tax procedure? A CPA firm can help with business income, investments, real estate income, multi-state jurisdiction tax planning. Along with continuous education regarding the tax laws, a CPA firm helps analyze, develop, communicate, and deliver. Finally, O’Dell & Company accountants aim to strategize for the success of your business. We examine trends and forecast changes while providing valuable advice and software to streamline operations from payroll to budgeting. So how can a CPA firm help you? O’Dell & Company provides trust, integrity, sound advice, reliable support and solutions in all aspects of accounting. Learn more and contact our Fort Collins CPA firm today.